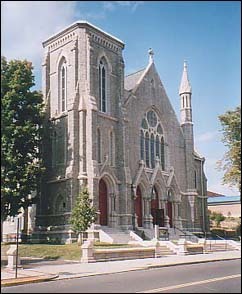 First Congregational Church of Meriden was “gathered” on October 22, 1729. Since that time, our church family has provided leadership to the church in its mission to the world and local community. We welcome persons of all backgrounds into membership. If you are interested, and we hope you will be, please call the church office for more information or ask to speak with the pastor. Our mission as the First Congregational Church of Meriden is to be a contemporary Christian witness in our community, celebrating the continuing presence and power of our loving God, redeeming Christ and sustaining Spirit. We seek to be a place of personal and spiritual growth for all, a place where we are nurtured and challenged in our faith and lives. We strive to be a caring, healing and renewing fellowship open to the rich diversity of our community. We commit ourselves to continue reaching out to our community and the world with love and compassion, always praying and working for justice and peace.